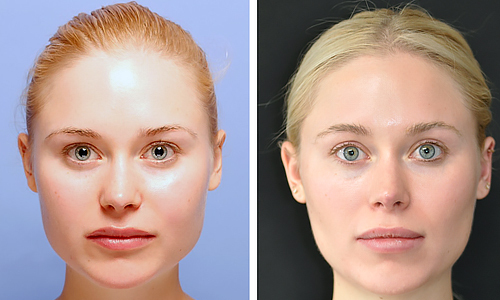 Only Juvabite offers the world’s first all-natural, non-surgical face lift that truly works. Aging of the face is a multi-factorial problem and a consequence of volume loss, tissue drooping, skin and hormonal changes. Volume loss is a result of fat atrophy,muscle thinning, bone remodeling with collapsing of the upper and lower jaw. Soft tissue drooping and falling facial skin is secondary to gravity, family genetics, sun exposure and smoking. All of these effects are worsened in postmenopausal women because of the loss of estrogen. The JUVABITE System is a collaborative process between an aesthetically focused physician and a qualified dentist. 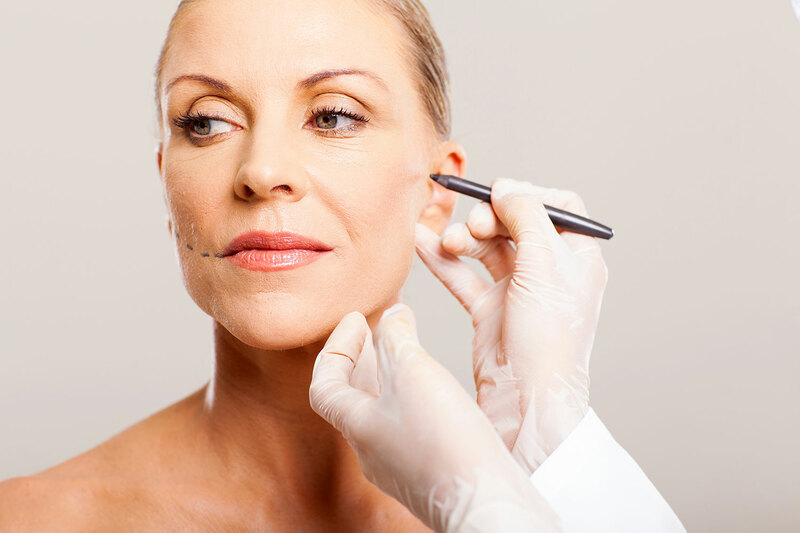 Your aesthetically minded physician will evaluate the contour of your face, eyes, nose and lips in a Juvabite Facial Analysis. Tooth wear, jaw position and dental profile will also be considered in our comprehensive evaluation process and then the patient will be referred to the Juvabite oral appliance specialist. 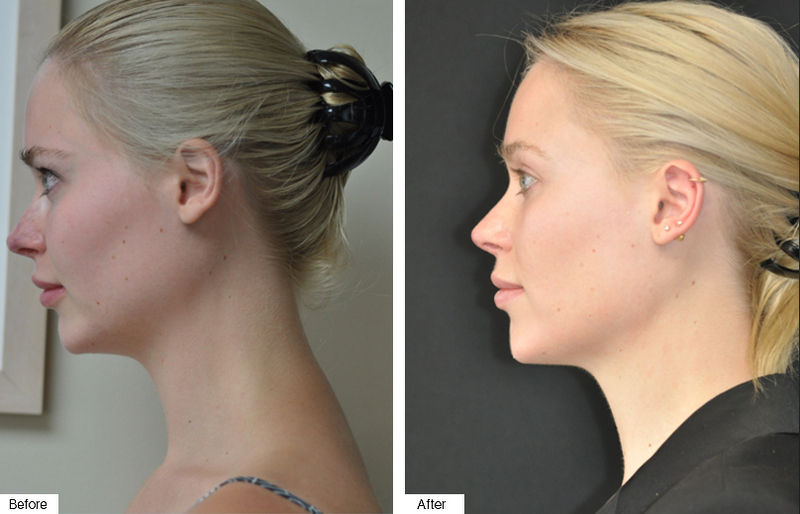 Most of our patients have a loss of facial height in the lower third of their face, between the nose and the chin. 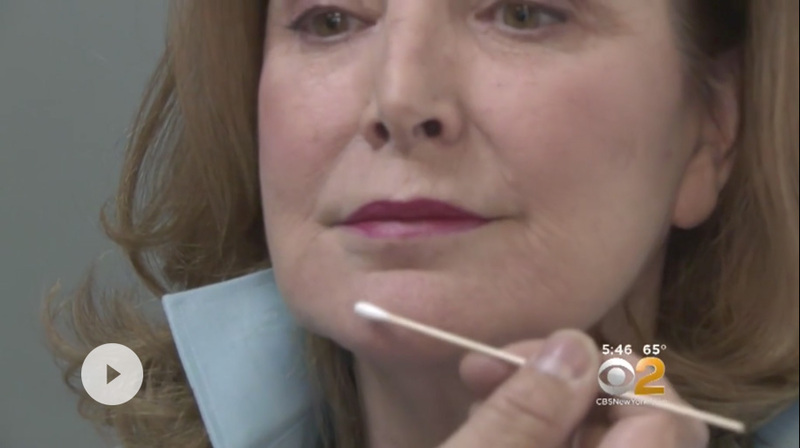 This negatively impacts the lips, chin and soft tissue around the mouth. When in place, the Juvabite removable oral appliance restores the height of the lower third of the face and brings back support. Once the removable oral appliance has been custom fitted, volume loss to the lips and surrounding soft tissues can be restored with injectable fillers in a more accurate manner. Problems like over filling and unnatural results are eliminated as less filler is required to accomplish the final goal of the Juvabite System. The JUVABITE System is the first combined technique invented by a facial plastic surgeon and a TMJ/Airway dentist. At 67 years old, Irene did not think she looked as good as she felt on the inside. 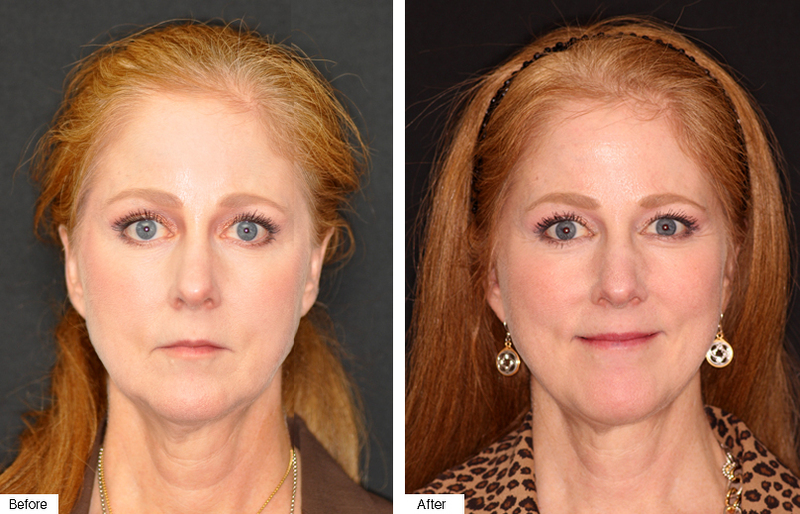 After seeing Dr. Thomas Romo , a decision was made to proceed with a browlift, face and neck lift. The aging around her mouth revealed not only volume loss but an overbite of her teeth. 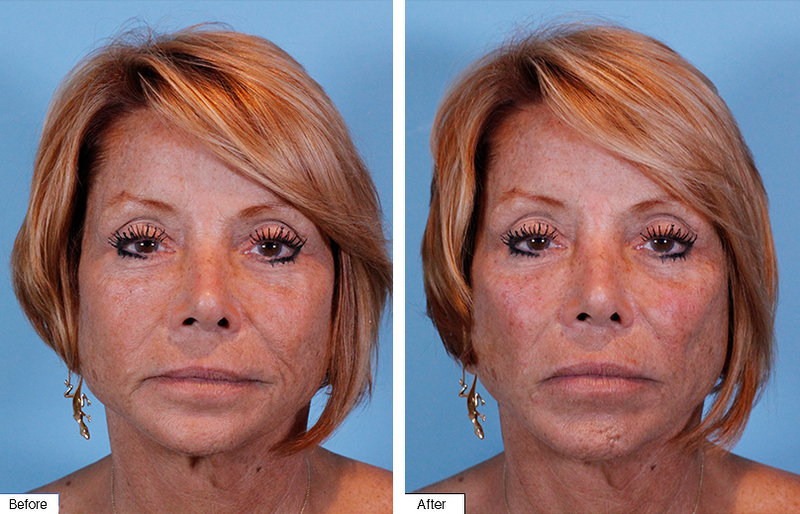 Irene was seen by Dr. Michael Gelb who fitted her for a Juvabite plate and then was treated with fillers. 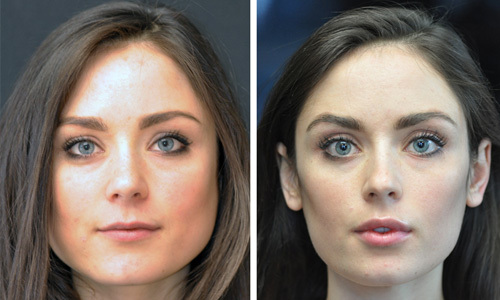 The Juvabite System opened up her bite, elongated the lower part of her face, and the fillers gave her volume in that area as well. She states she now she looks the way she feels on the inside. A.H. jaws were getting bigger and bigger and she didn't like the size of her lips. She was fitted for the oral appliance to stretch out her jaw muscles and increase her vertical dimension. 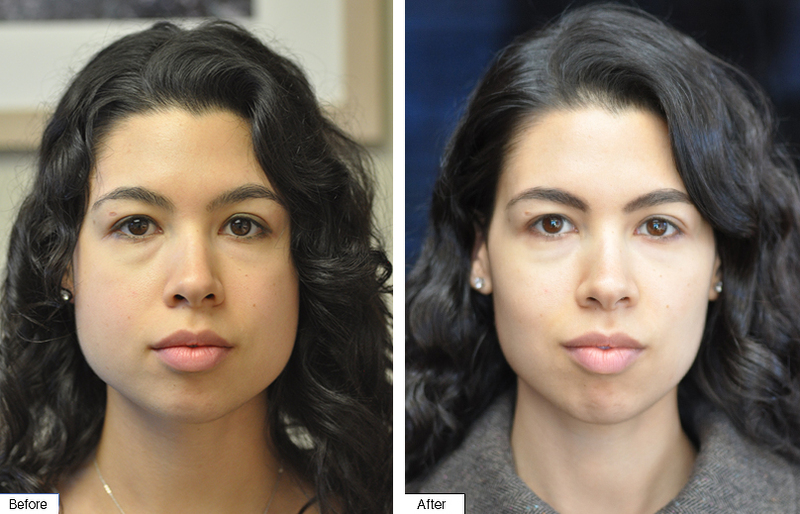 Botox was also used to decrease he jaw muscles size and fillers were used to enhance her lips. Is Juvabite Right for You? Take our quick assessment to see if our patented treatment system is right for you or someone in your family. 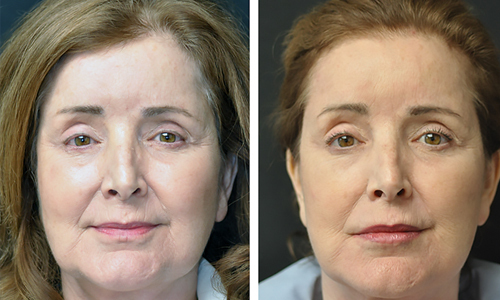 Are you looking for an effective non-surgical alternative to a face lift? 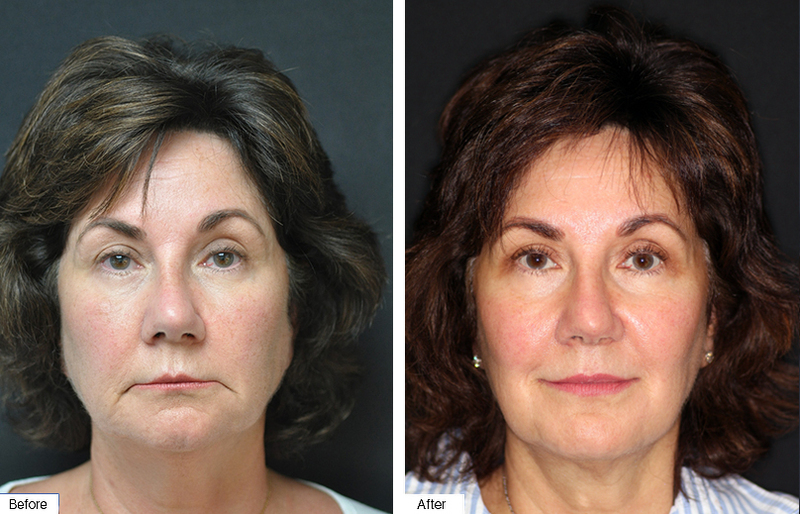 Are you looking to restore volume loss in the lower part of your face? Are you interested in feeling rejuvenated? If you answered YES to one or more of these questions, Juvabite may be right for you or someone you know. Please contact us to learn more. Why is opening my bite going to make me look more youthful? As you go through the passage of time, you will notice your bite has closed. You notice your space between your chin and nose getting smaller and more lines have formed by the sides of your mouth. By opening your bite to its original state; your old youthful look can return. Will my speech be impaired while wearing the "Juvabite"? Like anything else in a short time you won't know it's in your mouth and your speech will be fine. What is the purpose of the"Juvabite"? Why can't I just get injectables? The purpose of the "Juvabite" is to open your bite naturally. Injectables can only do so much. They can never give the aging face the look it needs without eventual distortion. 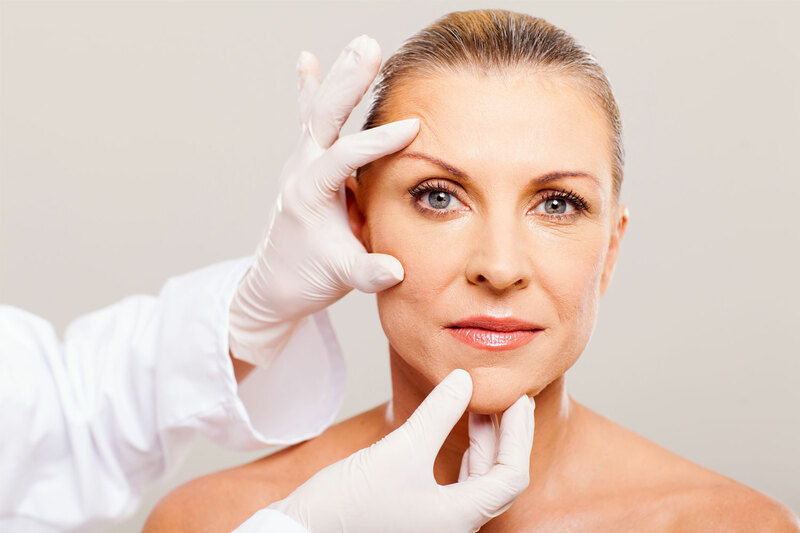 By combining the "Juvabite" with injectables; you will get the complete youthful look you are looking for. How hard is it to get used to wearing the "Juvabite"? Not hard. The more you wear it the easier it is. It can be worn all day and even during sleep. How does my Juvabite work? Do I need to do fillers along with the Juvabite oral appliance? Can I eat with the Juvabite oral appliance? Soft foods and liquids may be acceptable.When eating foods that need chewing, it’s best to remove and put in it’s carrying case. What factors determine if I am a candidate for Juvabite? How often do I need to wear the Juvabite to achieve results? Wear it whenever out in public . After 6-8 weeks the muscles may remember the jaw position as "muscle memory" occurs. How do I care for the Juvabite? Will others know that I am wearing the Juvabite? Juvabite is a clear milled oral appliance. With some practice speech will be minimally effected. How often do I need to follow-up with the doctors? 2 follow up visits are included with both your dentist and MD. If you have any questions or concerns please do not hesitate to contact us. We are here for you.